IMPORTANT UPDATE: The GMEA has changed Saturday’s, 2/13/2016, itinerary for the District 7 Honor Bands. Please see the updated itinerary posted below. Posted in CHS Band and tagged Carrollton High School, Carrollton High School Band, CHS Band Program, CHS Trojan Band, GMEA District 7 Honor Band on February 12, 2016 by CHS Trojan Band. The Carrollton Winter Guard enjoyed a 1st place finish last weekend at the competition at South Forsyth High School and hope to continue those winning ways at this weekend’s competition at East Coweta High School. The Winter Guard has worked and practiced so hard to refine their show and we are so proud of their effort and success. Below you will find the itinerary for this week’s competition. We encourage anyone who can, to come out and support this awesome group of students as they represent the Trojan Nation. If you have any questions, you can email Ms. Dothard at: barbara.dothard@carrolltoncityschools.net or call the Band Office at 770-834-0550. Posted in CHS Band and tagged Carrollton High School, Carrollton High School Band, CHS Band Program, CHS Winter Guard, Gold Standard on February 9, 2016 by CHS Trojan Band. The Carrollton Trojan Band would like to tell you about a great opportunity to make a difference in our community. 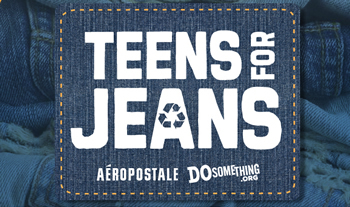 Carrollton High School students are participating in a ‘Teens for Jeans’ drive hosted through DoSomething.Org. This campaign is to support efforts to address the number one request of young people experiencing homelessness; a pair of jeans. Gently-used jeans of all sizes are currently being collected at the high school and will be donated to local shelters. Participating schools compete for a chance to win up to a $3K grant and an extra $500 for a celebratory party. The Teens for Jean drive at Carrollton High School will last through February 26th, 2016. Jeans can be dropped off in the collection boxes located in the cafeteria, Rooms 103, 210, 401, and 609. Make sure to sign your name when dropping off jeans. For questions or more details please contact Asha Berry and Leah Gay. Please consider supporting these students and our local community with your donations of jeans. Posted in CHS Band and tagged #trojangold, Carrollton High School, Gold Standard on February 7, 2016 by CHS Trojan Band. 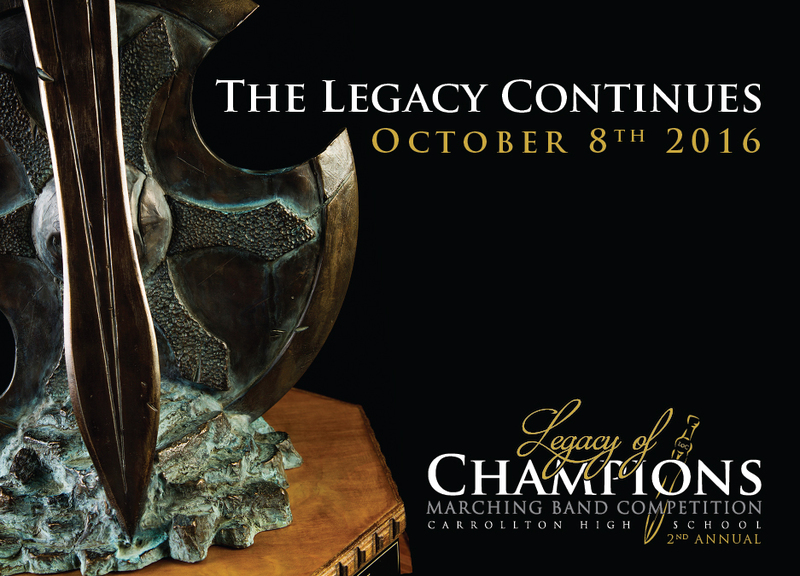 This October 8th the Legacy continues at historic Grisham Stadium as the second edition of the premier marching band competition, the Legacy of Champions returns. Hosted by the Carrollton High School Band Program and Carrollton High School Band Boosters, the Legacy of Champions strives to set the gold standard for marching band competitions. Last year’s inaugural running was a huge success that showcased the commitment to excellence held by the Carrollton City School System, the Carrollton Trojan Band Program, and the Carrollton community. Thousands of students, parents, and supporters were on hand to witness the beginning of the legacy as the Whitewater Wildcat Marching Band of Whitewater High School, Fayetteville, GA became our first Grand Champion and took home the one-of-a-kind Legacy Sword Grand Championship Trophy! As we begin our preparations now to make this year’s competition even better than last year’s, we can’t help but wonder… whose next? Will Whitewater return and successfully defend their Grand Champion title or will there be another band prepared to claim the Legacy Sword and take their place among legends. Mark your calendars now and get ready… The Legacy Continues October 8th, 2016! Posted in CHS Band, Legacy of Champions and tagged Carrollton High School, Carrollton High School Band, Carrollton Trojan Band, Carrollton Trojan Band Boosters, CHS Band Program, CHS Trojan Band, Gold Standard, Legacy of Champions, Marching Band Competition on February 4, 2016 by CHS Trojan Band. Happy February everyone! With the start of a new month and a new week, make sure not to miss these activities this week. Wind Ensemble Rehearsal: Monday’s after school until 5:00PM. Concert Attire Fitting & Trade Day: Monday, 2/1/2016 at 6:00 p.m. at the band room – Both boys and girls will be fitted for their concert attire at this time. If you signed up to/or wish to donate, sell, or trade gently used concert attire items like tuxedo coats, pants, and dress shirts, dresses, shoes etc., you will want to bring your items to this event just a few minutes early to set-up. Please note: If you need concert attire, whether you plan to purchase new or used, you will need to plan to be fitted on this night as all students will be required to secure Concert Band attire before our first concert. If you plan/need to purchase new attire, you will not be required to pay at the time of the fitting, you will be notified of cost at a later date. We do not have exact prices at this time, but last year’s costs wear approx. $140 for Tuxedo attire (jacket, shirt, pants, and shoes) and $100 for Dress attire (dress, shoes, and jewelry). You also have the option to only purchase what you need, pants, shoes, etc. Moe’s Band Spirit Night: Tuesday, 2/2/2016, 5:00pm – 8:00pm – Moe’s Southwestern Grill , Carrollton. These have been a great boost to our fundraising efforts, so please continue to support and promote these spirit nights! Winter Guard Practices: Winter Guard has practice this week from 3:00pm-7:00pm on Monday, Tuesday and Thursday. Winter Guard Performance: Saturday, 2/6/16 at South Forsyth High School. Detailed itinerary to be released to winter guard members. As always, if you have any questions, you can email Ms. Dothard at: barbara.dothard@carrolltoncityschools.net or the Band Office at 770-834-0550 or the Band Boosters at: chstrojanbands@gmail.com. Posted in CHS Band and tagged Carrollton High School, Carrollton High School Band, Carrollton Trojan Band, CHS Band Program, CHS Trojan Band, Gold Standard on February 1, 2016 by CHS Trojan Band.